Powerful People! Yes, Our Last Session was amazing. The Poetry shared brought us a wide range of emotion. Some brought tears to our eyes, and some poems made us wanna bag the Cutie to the right. We want to let you know that we are opening the floor for only 2 months. Please apply to perform and be COMPENSATED monetarily for your craft. You can do so by emailing FBMT@StreetPoetsNYC.com with a sample of you performing your work. Now if you would like to audition for this feature opportunity in person as you may not have a recording, this is possible. Please, just reach out and talk to us. 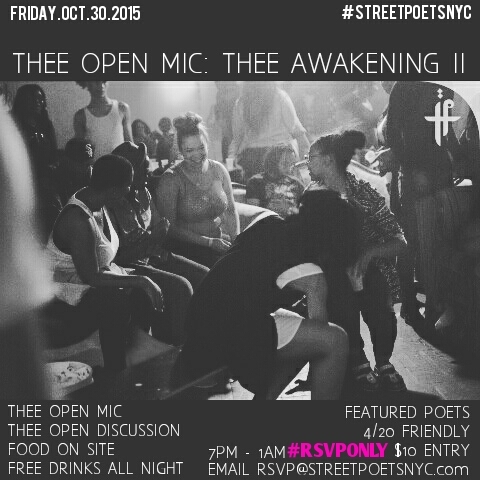 email fbmt@StreetPoetsNYC.com as soon as you see this if you are interested in performing! As Far as Poets who would like to strengthen their sword, please hit the RSVP email and drop a line. We look forward to seeing you there. The Address will not be released. EMAIL ONLY. RSVP ONLY. Previous BLACK WALL STREET: AUGUST 28TH 2015. #POETS GET READY!! NYC GET READY!! !